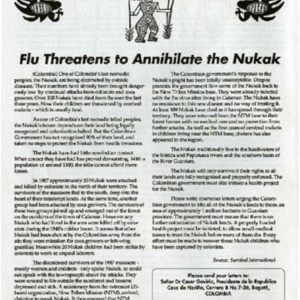 The Nukak fight for survival against outside diseases such as the flu. 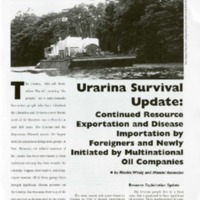 The Kacha people are increasingly being exploited for their natural resources. 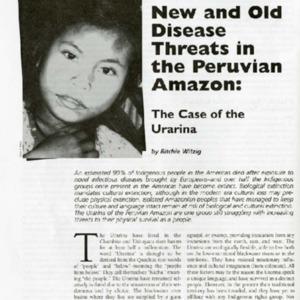 Oil companies are spreading disease and ruining environments, with a negative impact on Indigenous life.